5 Things to Include on Your Yard Cleanup List - GNH Lumber Co. 5 Things to Include on Your Yard Cleanup List - GNH Lumber Co.
To help your plants and shrubs get ready for new growth, clean up any debris left over from the winter months. Make sure you rake out fallen leaves and dead foliage, since this can smother your plants and help foster disease. Don’t forget to cut down any mums or other fall-season plants that you haven’t had a chance to cut down due to the snow and ice. 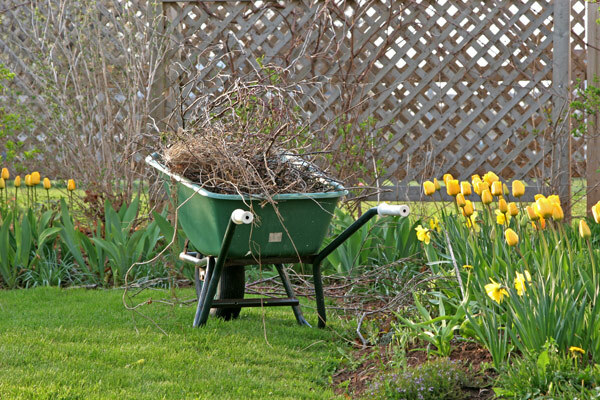 Toss your yard waste into a wheelbarrow for easy disposal and cleanup (ideally, this is done after the threat of frost has passed). Next, you’ll want to remove existing mulch to set the stage for a new layer after spring planting. You’ll also want to push heaved plants back into flower beds and borders. To encourage new growth, you can also spread a pelletized fertilizer tailored towards your existing plantings onto the soil’s surface. Spring rains will then carry these nutrients to the root systems. The first step to a gorgeous lawn all spring and summer long is a good feeding now. 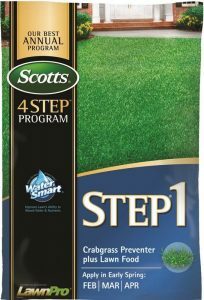 Fertilizing your lawn with Scotts STEP-1 Crabgrass Preventer Plus Lawn Food can improve a lawn’s ability to absorb water & nutrients. Apply to your lawn for a fast green-up after winter. It also controls crabgrass for up to 4 months! Apply in early spring, anytime between February and April when temperatures are still cool (under 80F). Step-1 prevents crabgrass before it can germinate. It also feeds to green up a winter-weary lawn, too. Learn more. In mild climates that experience little to no snowfall, winter lawn damage is usually minimal. However, that’s not the case for us here in the Catskill Region. As a rule, it’s best to avoid walking on soggy areas of the lawn until they are dry so the grass doesn’t become damaged. But there is usually some damage from snow removal, ice prevention, shoveling and the mud of thawing. Remove any turf damaged by salt, plows, or disease to prepare for the seeding that should follow in a few weeks. Resume mowing once the grass grows to 4 to 5 inches tall and only trim it back to 3 to 4 inches. But don’t start mowing too early! Mowing too early in spring, or trimming your lawn too low, results in weak grass that is more prone to summer damage during dry periods. 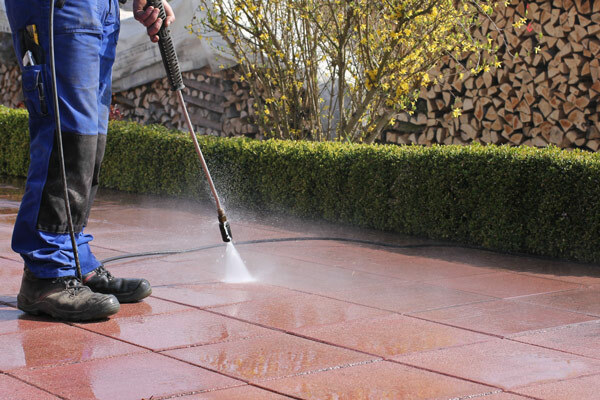 The early spring is a perfect time to neaten up your hardscape surfaces, too. This includes both walkways and patios. Make sure to rake escaped gravel back into your walkways and patios, and purchase more gravel to spread if needed. Refill joints between flagstones by sweeping in new sand or stone dust; water with a hose to set it, then repeat. Use a pressure washer with a low-pressure tip to remove any algae spots or leaf stains. Remove badly rotted or damaged pickets or boards in your fencing, then scrub the wood clean by mixing water, bleach, and liquid soap. Once you’ve fully cleaned it, allow it time to dry before continuing. 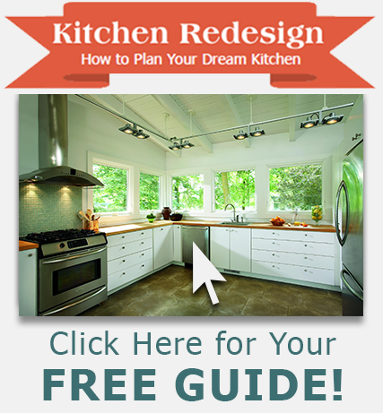 You can patch rotted sections with wood epoxy, and subsequently install new wood as needed. Check to make sure that you don’t have any wobbly fence posts that need to be replaced. You should also scrape off old paint, sand the wood, and apply a new finish coat. Once temperatures go above 50° F, brush on a new coat of paint or stain. Many non-flowering shrubs, trees and woody plants respond well to spring pruning, which cleans up their appearance. Prune back to live stems if damaged, and shape hedges with hand pruners rather than electric shears. Electric shears have the tendency to cause a thick outer layer of growth, which prevents sunlight and air from reaching the shrub’s center.